Charlotte, North Carolina native, and current resident of Los Angeles, California, Germanee is a ten year veteran in the fashion and retail industry. Her experiences as a retail associate, jewelry designer, Retail Management Program graduate and global merchandiser at Gap Inc.’s headquarters were all preparations for a larger endeavor, GG+Co Styling Firm. In 2014, a conversation with one of her best friends while shopping in San Francisco, lead to the idea of being a personal stylist/shopper. Inspired by her friend’s encouragement, she decided to embark on the journey of entrepreneurship. As a resident of Silicon Valley at the time, she understood her landscape and decided to offer her customer-centric focus, strong product eye, and style expertise to tech executives, entrepreneurs, and entertainers that had limited time through her styling services. In 2018, four years after working simultaneously at Banana Republic headquarters and pouring her heart into GG+Co Styling Firm ( fka thePradaG+Co Styling Firm), she left the world of merchandising to style for her clients full time. Germanee, is passionate, ambitious, and fiercely dedicated. She feels empowered by her past experiences, southern sophistication, business acumen and style influence to the table for her clients and is honored to be able to do what she loves! 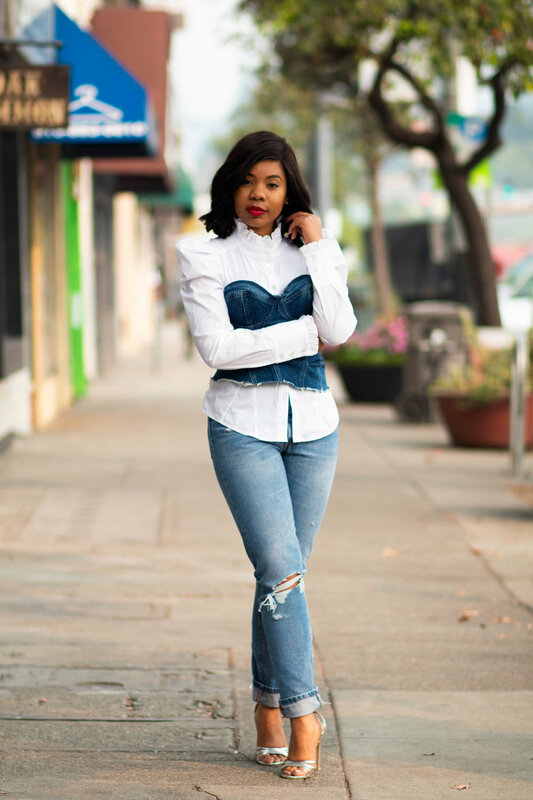 As breakout stylist, who created a niche styling California’s most prominent influencers and executives like Bozoma St. John of Endeavor, Robin of McBride Sisters Wines, Danielle Leslie of Culture Add, and many more. She is dedicated to connecting her clients with emerging and local designers, artist, and boutiques as they seek peculiar and quality apparel for their many speaking engagements and public endeavors.
" I understand how busy people in this millennial age are, I also understand the how confident a great outfit can make a persona feel. If I can offer convenience by putting looks together that seamlessly blend with my client’s personality, life, and style, I have achieved my mission for the work I do as a stylist, and for my brand." - Germanee G.